It’s true: our fourteenth anthology, in glorious full colour, is now out in the wilds. 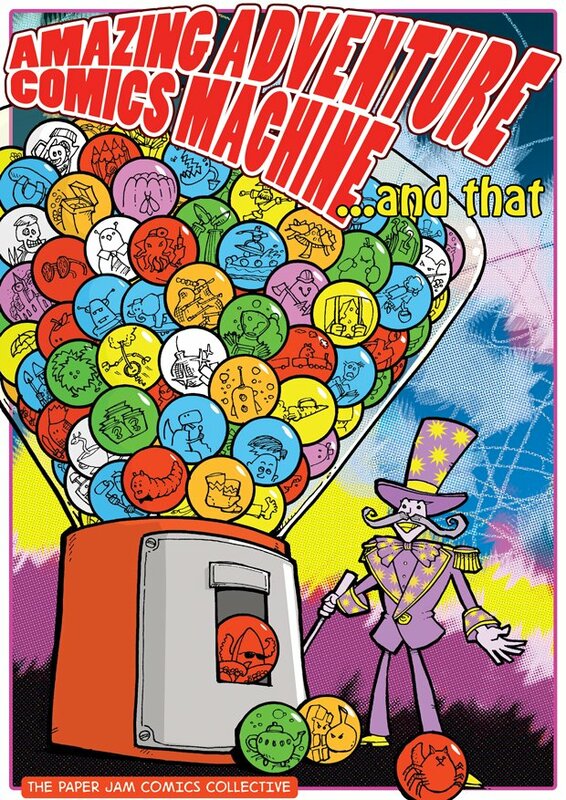 The Amazing Adventure Comics Machine …And That is our second foray into comics aimed specifically at kids (the first being the classic, and now out-of-print, Space Monkey). This time we have a loose theme of ‘adventure’ (and perhaps ‘mind-bending metaphysical comic-creation’ too). It’s true: our fourteenth anthology, in glorious full colour, is now out in the wilds.The Amazing Adventure Comics Machine …And That is our second foray into comics aimed specifically at kids (the first being the classic, and now out-of-print, Space Monkey).